Water bear (Macrobiotus sp.) 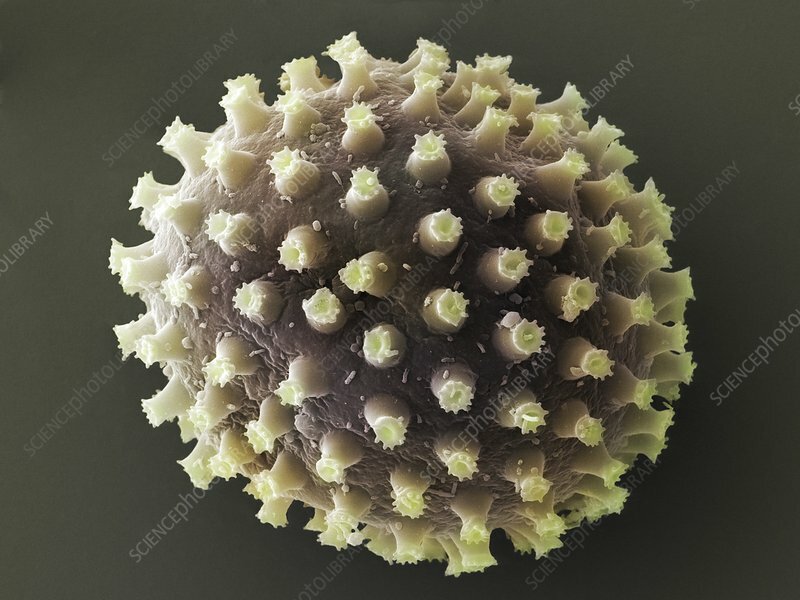 egg, coloured scanning electron micrograph (SEM). Water bears (or tardigrades) are tiny invertebrates that live in aquatic and semi-aquatic habitats such as lichen and damp moss. They require water to obtain oxygen by gas exchange. In dry conditions, they can enter a cryptobiotic state of dessication, known as a tun, to survive. In this state, water bears can survive for a decade or more. This egg was found in moss samples from the UK. Water bears are found throughout the world, including regions of extreme temperature, such as hot springs, and extreme pressure, such as deep underwater. They can also survive the high levels of radiation and vacuum of space. Magnification x1080 at 10cm wide.